We are so sorry for your loss. 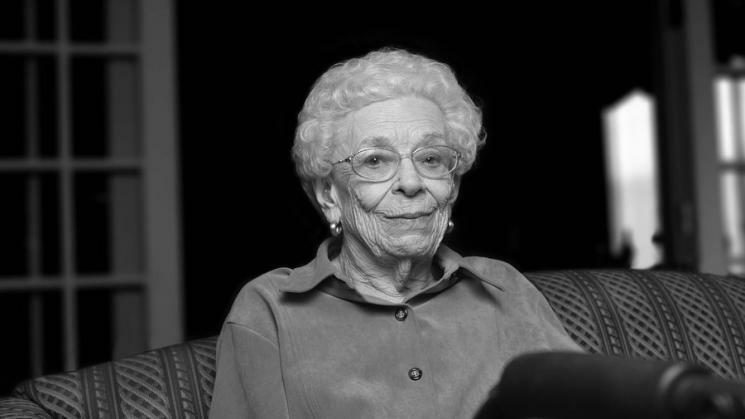 Rosalie was a beautiful lady and will be missed. We can't begin to say thank you enough. Your support of our family has been overwhelming! All the cards and letters we have received are truly touching our hearts. The funeral for my grandmother will be this weekend. Thank you for helping us make this a beautiful memorial service for her. Yesterday we lost our beloved Grandmother, Rosalie. She passed away quietly in the night in her sleep. She just turned 99 years old in February this year. "Rosy" as we called her, was the most beautiful person you could know, very loving, kind and generous to everyone she met. She had so many friends in the nursing home she lived in. In her younger years, she was a teacher and absolutely loved children's books and reading. She leaves behind three daughters, two sons and several grandchildren. Our family wants to give her the most beautiful service we can with bouquets of her favorite flowers of white lilies and red roses and a white casket. Anything you can help us with, we would be most grateful. Thank you for considering helping us.